My New Year was somewhat blighted by the revelation that I had acquired Parkinson’s disease. That’s how I put it. Acquired. Like experience. It just creeps up on you. But here’s the rub: I don’t look ill; I don’t act ill; I don’t even feel ill, yet I am. And this is what’s strange. My life hasn’t been ruined by this disease – I’m not about to die – but it certainly has changed. The problem is that I don’t know what’s going to happen: all I know is that something will. 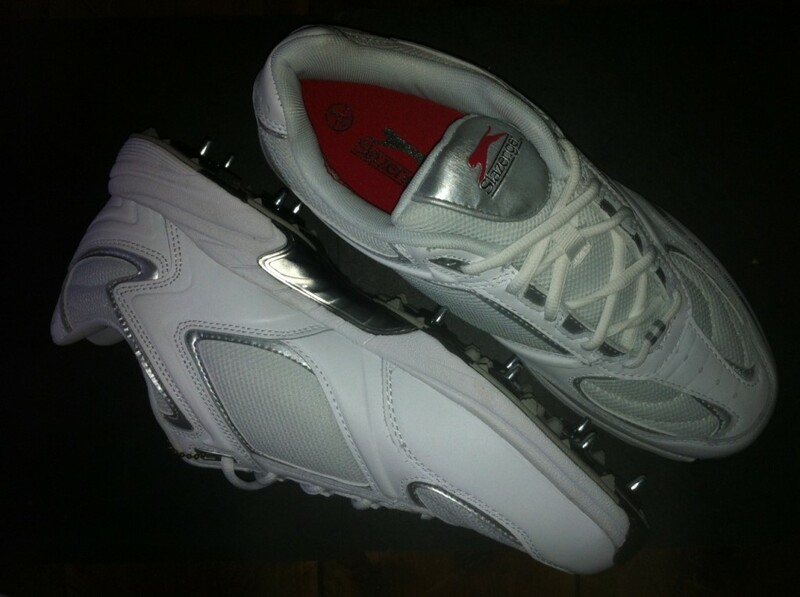 Cricket is a passion, and these are my as-yet unworn ‘season of 2013’ shoes. In these I will be travelling the country, playing cricket in country houses to write The Country House Cricketer, the proceeds of which will go directly to funding research into Parkinson’s. Parkinson’s is already affecting my game, but that just forces me to think of new ways to get round it, to frustrate this most frustrating of conditions. It’ll win, yes … but I’ll give it a damn good run for its money.